Feb 2, 2013- D and I went to SM Mall of Asia to catch the Samsung Galaxy SIII Mini First Day Rush. It was a whole day event wherein one could purchase the new Samsung Galaxy SIII Mini for P12,990 instead of its regular price of P14,990. Plus, 100 lucky individuals could also get a chance to get an additional P3,000 discount. It was a around 10:30am when we arrived and boy were we surprised to see the ridiculous line of people waiting to get a hold of the new Samsung phone. Since we wanted a chance for that additional discount, we patiently waited in line until 3:30pm. Yes that was 5 hours of leg torture. Finally, our turn to pick from the fishbowl... "THANK YOU for joining..." :( Ugh! 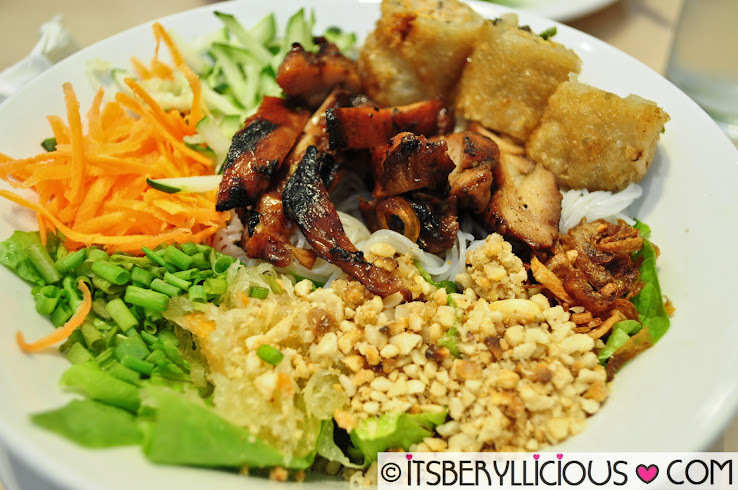 Another should have moment..
After purchasing a unit, we headed straight to Pho Hoa for our late lunch. We should have been very hungry after waiting for 5 hours but I was kinda craving for something healthy and light.. and Pho Hoa seemed to be the perfect place for that "waited for nothing..felt sorry for ourselves" recovery. As usual, I ordered for my favorite Viet Chicken Salad (P190) which is a large serving of fresh greens, carrots, cucumber, chicken, toasted garlic and nuts. What I love most about this salad is the sweet and tangy dressing that comes with it. It may look simple but trust me, it really tastes good and of course, healthy too. 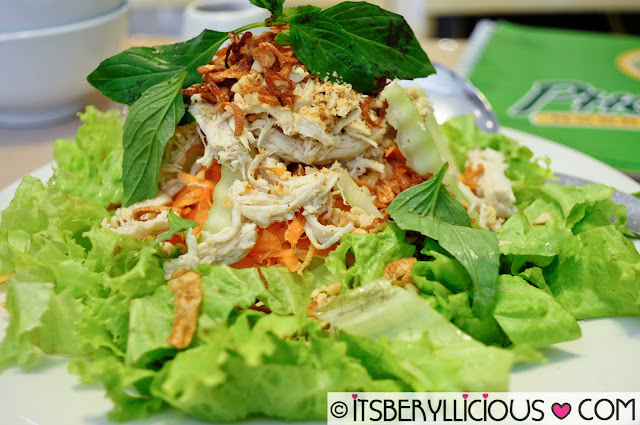 For non-meat eaters, you may order for the vegetarian salad without chicken. Another favorite of mine in Pho Hoa is their Caramelized Chicken Drumettes (P165) which is basically fried chicken wing lollipops served with caramelized dip. 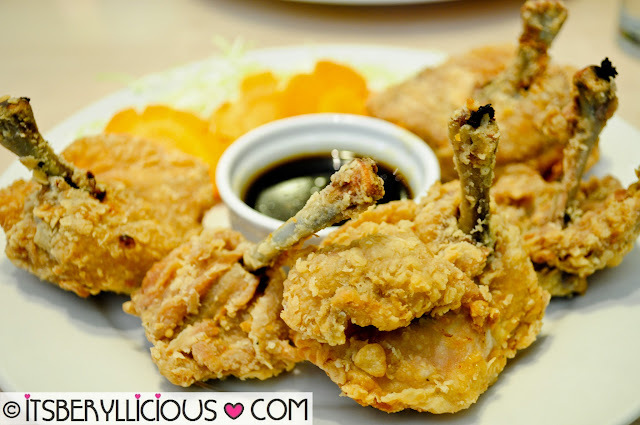 Again, what made these chicken drumettes special is the sweet sauce served with it. An order comes with five chicken lollipops however, the sizes of each were inconsistent. Our plate has 2 large, 2 small and 1 medium sized piece. 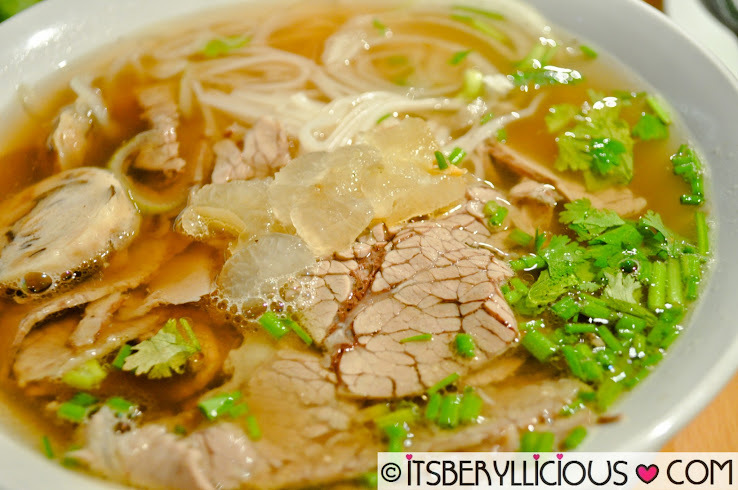 Pho Hoa is famous for their Pho-Noodle Soup which is made of thin rice noodles. Every order of their noodles comes with a plate of condiments like beansprouts, basil leaves and lemon. This bowl is basically a mix of everything- flank, brisket, tendon and meatballs. Healthy and delicious at the same time! 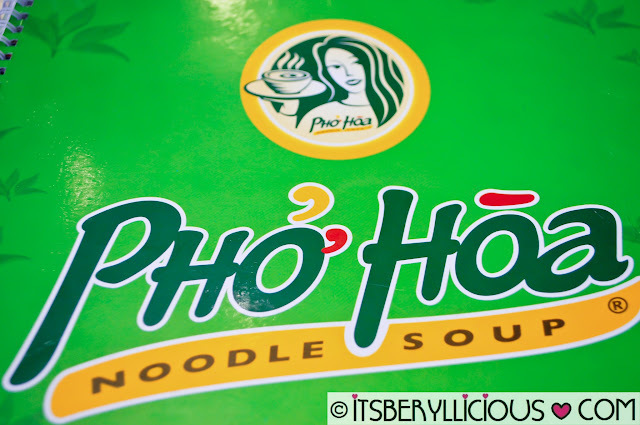 Every time we dine in Pho Hoa, we normally order for their hot noodle soups. This time we dared to try their vermicelli bowls which is dry noodles with meat toppings served with a special sauce on the side. The sauce is somewhat the same with their salad dressing. Surprisingly, it was good! Now, I'm torn between the hot noodle soup and vermicelli bowl whenever we'll dine in Pho Hoa again. G/F SM Mall of Asia, North Parking, JW Diokno Blvd. yeah, a veggie version of these dishes look good, especially the salad. i love lots of garlic and nuts with veggies. really something that I believe I'd never understand. It sort of feels too complicated and extremely extensive for me. I am taking a look forward for your subsequent put up, I will try to get the grasp of it!